The original American-style peanut butter brand, SKIPPY® Peanut Butter, puts the fun back into family breakfast time, as well as providing an excellent source of protein. 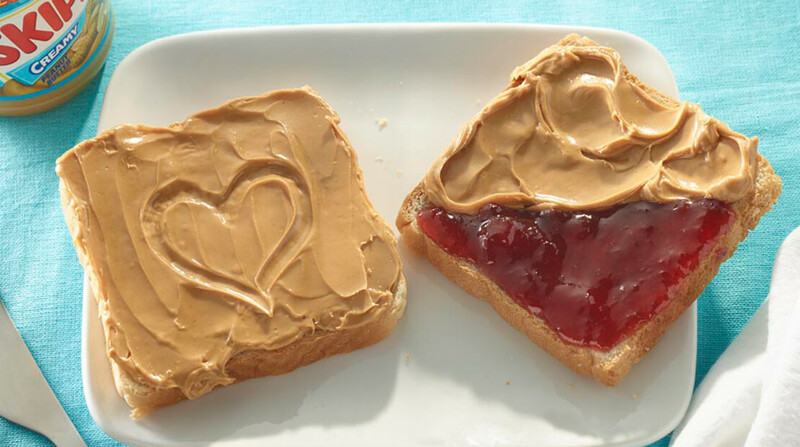 Guaranteed to add more yum and fun to different foods, SKIPPY® Peanut Butter is the perfect breakfast ingredient, being delicious and filling yet packed with protein. During family breakfast times during, there are a lot of quick and easy ways to enjoy, from spreading and melting on hot toast, adding to porridge or granola, or secretly dipping a finger in the jar for a deliciously cheeky scoop. SKIPPY® Peanut Butter is also a great way to encourage kids to eat more fruit and complements apples and bananas just perfectly. With a US heritage that spans more than 80 years and with 98% brand awareness in the US, the truly authentic American-style peanut butter is made from only the finest American peanuts, to give a unique nut-packed taste, with a creamy texture that melts in the mouth. Millions of Americans enjoy SKIPPY® Peanut Butter daily and it’s now the UK’s turn to ‘Go Nuts’ for SKIPPY® Peanut Butter. SKIPPY® Peanut Butter (RRP £2.40 per 340g) is available in Smooth and Crunchy varieties, which are currently available in major supermarkets including Sainsbury’s, Morrisons, Costco, International section of Tesco and Ocado.